Fayose bans students’ activities, rallies in Ekiti – Royal Times of Nigeria. 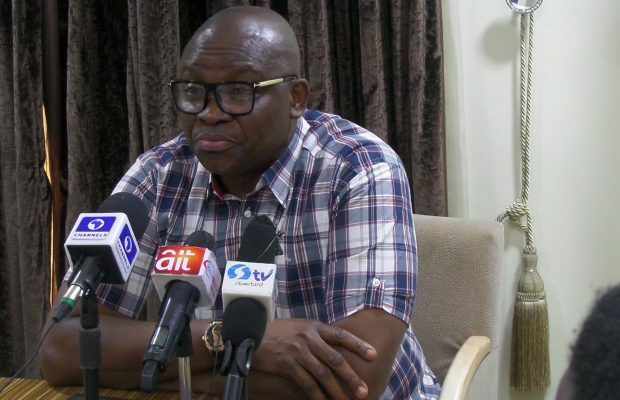 Ekiti State Governor, Ayo Fayose, on Thursday announced a ban on all forms of students’ activities in tertiary institutions in the state with immediate effect. Fayose also banned all forms of public procession in all the state. The governor, in a statement in Ado Ekiti by his Special Assistant on Public Communication and New Media, Lere Olayinka, said the action had become necessary in view of threatening security reports at his disposal. He said information at the disposal of the state government has revealed that some cultists are planning to embark on illegal public processions in the state. The statement said; “Security operatives are particularly to be on the red alert in towns like Ijero Ekiti and Oye Ekiti among others with high rate of student activities. “This directive should, therefore, be strictly adhered to by all to avoid the consequences”,.